Outrigger Enterprises Group has appointed Franck Seguin general manager of the Outrigger Mauritius Beach Resort, effective September 1st, 2017. He will report to Outrigger president and chief executive Scott Dalecio. 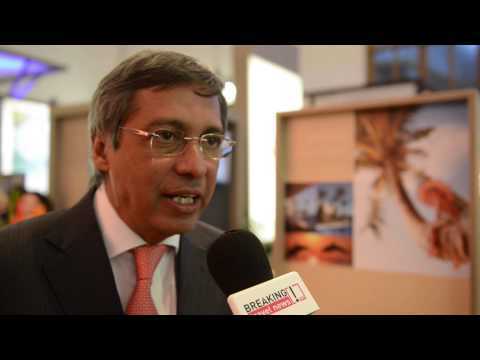 Breaking Travel News talks to Xavier Luc Duval, deputy prime minister, Mauritius, at World Travel Market 2016. They discuss the importance of the UK as a source market for tourists and what guests can expect in 2017. Beachcomber Hotels has revealed plans for an exciting refurbishment to its flagship property Royal Palm Mauritius. The property will soon celebrate its 30th anniversary and is currently upgrading its communal areas, restaurants and suites to create the ultimate luxury experience. Offering the height of sophistication in Mauritius, Dinarobin Hotel Golf & Spa has unveiled two brand new beachfront villas, opening this week. Bordered by pure white sands and occupying the most spectacular location on the Le Morne peninsula, the new private four-bedroom retreats are without doubt among the most stylish villas now available on the island. Mauritius – The Social Club of Air Mauritius hosted an IIPT All Island Symposium to commemorate World Tourism Day, September 27, 2013 on the theme: Tourism and Sustainable Energy: Powering Sustainable Development. Centara Hotels & Resorts has made its first move into Mauritius with the soft opening of Centara Poste Lafayette Resort & Spa Mauritius set for December 2012. 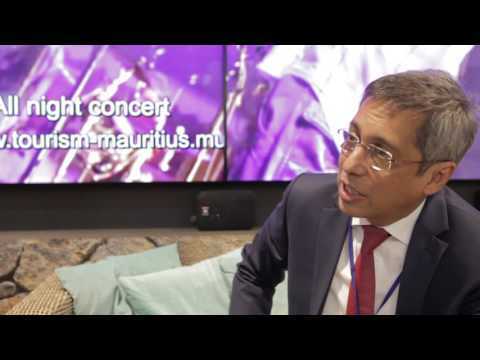 The Mauritian Minister for Arts and Culture, Mookhesswur Choonee, has been charmed by the idyllic beauty of La Digue, the third largest island of the Seychelles. Seychelles and Mauritius have signed a Memorandum of Understanding on cultural exchanges after they met at the headquarters of the Ministry of Foreign Affairs in the presence of Ambassador Maurice Loustau-Lalanne, the Principle Secretary of the Seychelles Ministry of Foreign Affairs. The Prime Minister of Mauritius, His Excellency Dr. Navinchandra Ramgoolam, has concluded his State Visit to Seychelles following a departure ceremony, led by Seychelles President James Michel, held at the Seychelles International Airport. The Prime Minister of Mauritius, His Excellency Dr. Navinchandra Ramgoolam, has planted a Coco de Mer tree in the VIP Arboretum tree planting park, during a visit to the National Biodiversity Centre at Barbarons yesterday commemorating his first State Visit to Seychelles.